AFSCME Council 31 Executive Director Roberta Lynch addresses the rally crowd on April 26. Some 38,000 state workers are represented by labor union AFSCME, the American Federation of State, County, and Municipal Employees. The members rallied at the Illinois Statehouse this week, and their anger was on display. The union has been sparring with the state and the two most recent governors over pay raises. In 2011, then-Governor Pat Quinn refused to give salary increases due employees as part of their contract. Quinn said the state was unable to pay because lawmakers failed to include the money in the budget. The State Supreme Court ultimately agreed with the union, and they were paid half of the money in 2014. But the rest has yet to be paid. When Governor Bruce Rauner took office in 2015, he made a quick enemy of the union he called “Af-scammy.” AFSCME’s labor contract expired in June of that year and the two sides have been unable to reach an agreement -- despite threats of a strike or lockout. Rauner also stopped raises employees can earn in their first several years on the job... known as step increases. Roberta Lynch, the Executive Director of AFSCME in Illinois, says 40 percent of the union’s state employees counted on those step increases, and the state reneged. "It is a promise," she yelled to the Statehouse crowd amid cheers. "It is what employees are told when they’re hired! It’s commitment made to employees!" One of those employees is Brittany Adams, who works at the Department of Human Services in Chicago. She told the rally it’s been tough to do her job and make ends meet without the money she had counted on. I asked Brittany after the rally if she’d given any thought to what she’d do if she doesn’t get the money in the near future. While the Illinois Supreme Court agreed the union members should get the rest of the raises they were denied from 2011 to 2013, the legislature hasn’t authorized the full payment. A plan to do that has been introduced there and those at the rally want it to remain a priority. Another state employee, Leslie Alfred, addressed the crowd. She’s a nurse at the Quincy Veterans’ Home, the site of deadly outbreaks of Legionnaires’ Disease. Governor Rauner himself visited the home earlier this year. Comptroller Susana Mendoza -- a Democrat -- told union members she’d approve AFSCME’s overdue pay as soon as the Governor ok’s it. The union has already sued for that money. 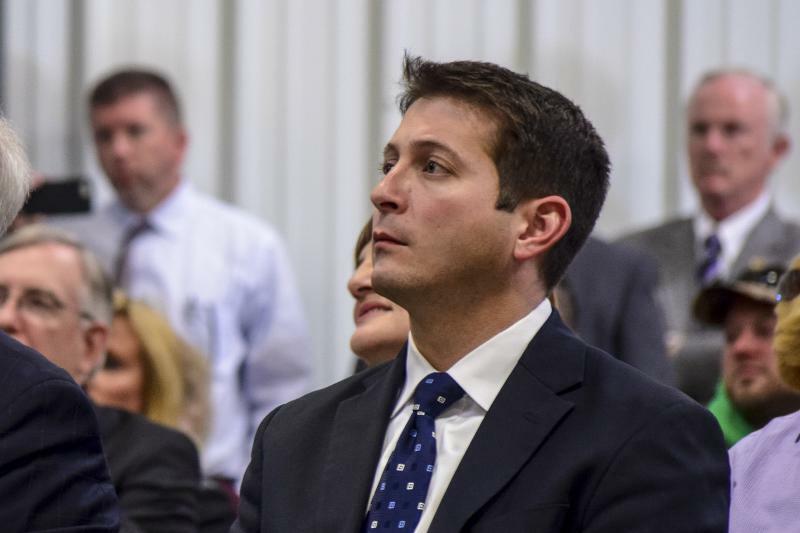 A state appellate court recently weighed in on that lawsuit, siding with AFSCME. Though the Rauner administration appealed that decision, the Illinois Supreme Court declined to hear the case. 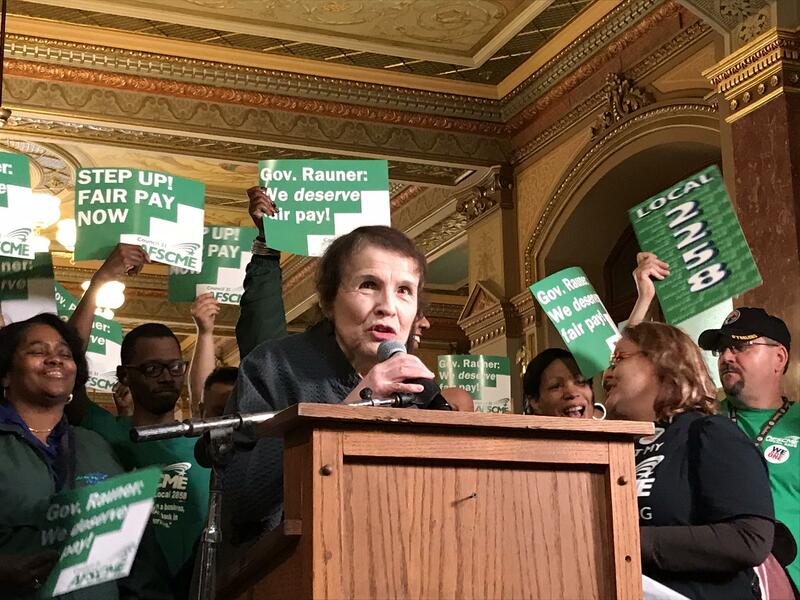 For now, a final decision on the step increases is in the hands of Illinois’ Labor Relations Board, which the Governor’s Office says will take “appropriate action.” They’ll meet in Chicago next month but its uncertain if the board will deal with the matter at that time. Until then, AFSCME's rallying cry of 'Fair Pay Today' remains. 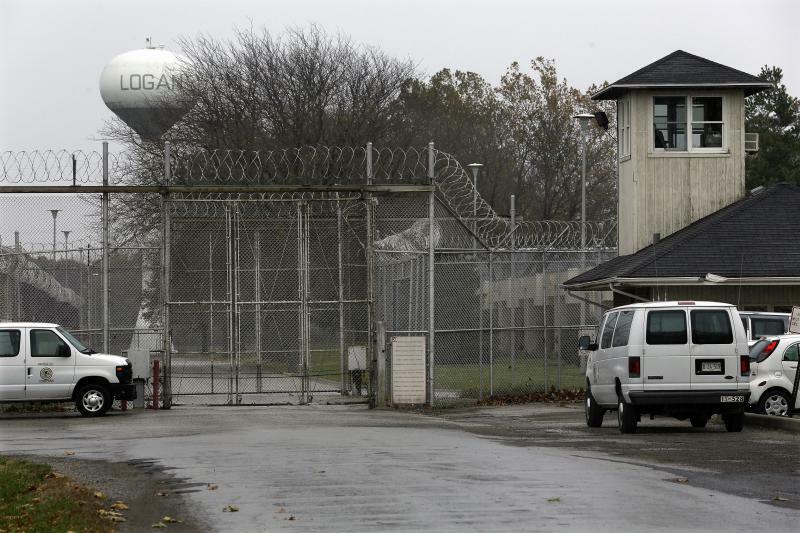 The labor union representing Illinois prison guards says assaults on staff are way up, and state officials aren’t doing enough about it. 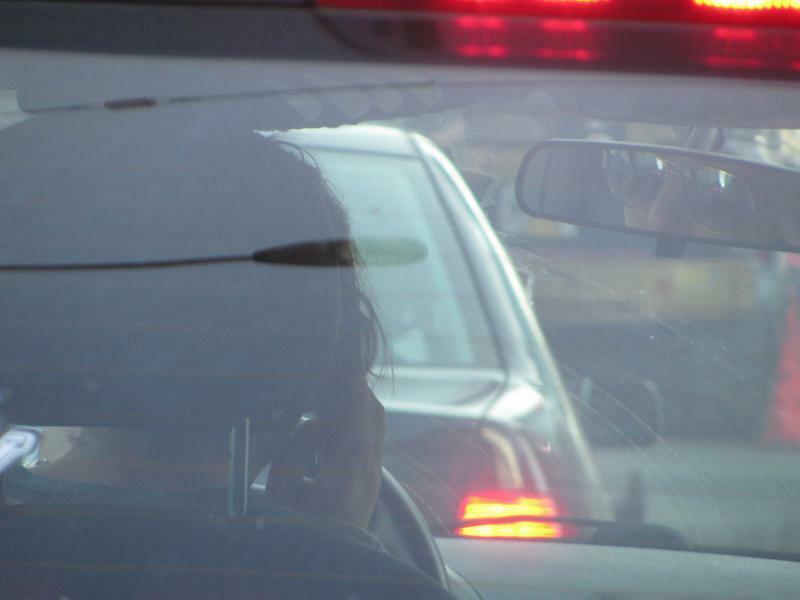 Illinois lawmakers are moving ahead with legislation that would create harsher penalties for texting and driving.